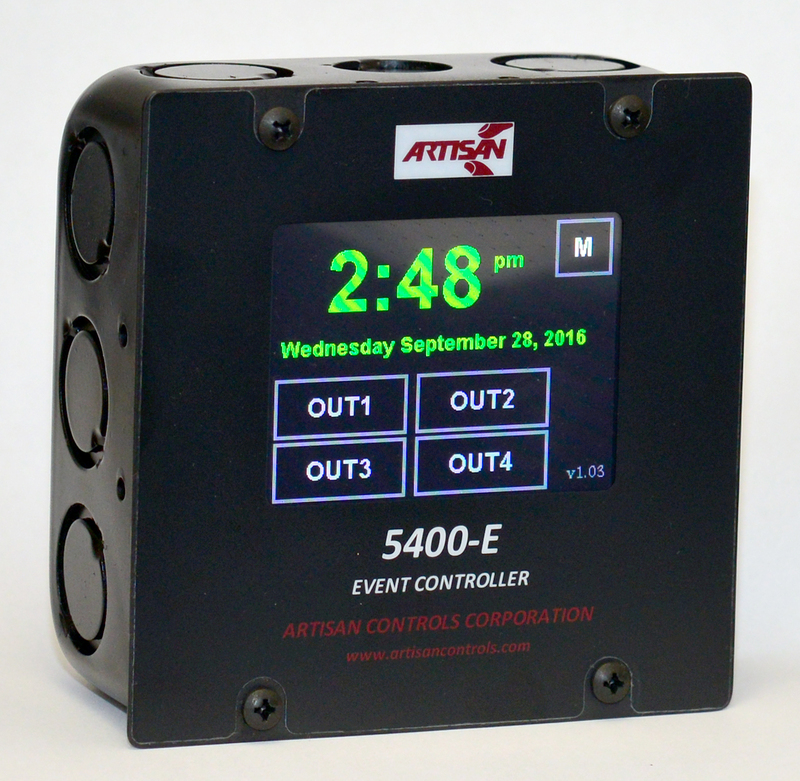 The Model 5400-E is Artisans newest event controller designed for any application which requires time-of-day and/or day-of-week control. This unique design provides two 10 ampere relay outputs, two 5VDC outputs for driving solid state relays, and two low voltage switch inputs which can be configured for securing the controller or enabling and disabling the outputs. The user interface is a state of the art color LCD display with resistive touchscreen protected with an overlay for maximum reliability in any environment. This one controller can schedule outputs to operate in an event control or bell control scheme with easy to understand screens for configuring the output schedules and overall controller configuration. For more details on operation and programming please go to our Support page and download the users manual.